The Sony VAIO Flip 15 ($1,199 as tested) raises two questions: How much extra would you pay to shift from a touch-screen laptop to a laptop/tablet convertible, and why would you want a relatively big and heavy 15.5-inch tablet?Sony outdoes its own Duo slider with perhaps the best laptop/tablet hybrid design we've seen, but the smaller and lighter Flip 13 and 14 are probably better examples than this 15.5-inch, 5.1-pound configuration. 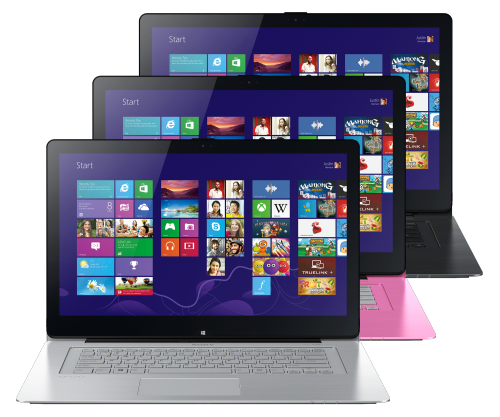 On the whole, we are bullish on the way Sony handles the convertible laptop conundrum with the Sony VAIO Flip 15. The mid-lid hinge solves a lot of the problems that the Yoga-style flip introduces, and is much more modern than the old swing and pivot hinge on older convertible tablet/laptops. The overall weight and bulkiness of the unit needs to improve if this method is to become the form factor that users accept. There are few bigger-screen hybrids right now, likely because the mechanics of flipping or folding a 15-inch or larger screen is complicated compared with a smaller 11-inch or 13-inch one. Sony does an excellent job of making its fold-over Flip 15 screen mechanism feel smooth and secure, but the odd decision to not have the tablet mode lie completely flat makes the system's tablet mode awkward to hold or carry. The Flip series has an innovative design that does indeed improve on some of its competitors' shortcomings. We're just not sure it makes sense for a 15-inch notebook. While the smaller Flip 13 and Flip 14 look promising, the 15 is bulky for a convertible, and is awkward to use in tablet mode, even when it's resting in your lap.